Interestingly enough, Pluto actually made his silver screen debut in “The Chain Gang” alongside another dog. The two played bloodhounds in the short and were so popular that Pluto was brought back for more, returning as Minnie Mouse’s dog “Rover” in “The Picnic,” and then as Mickey’s pup in “The Moose Hunt” in 1931. In the years that followed, Pluto popularity propelled him to star in 48 shorts of his own. 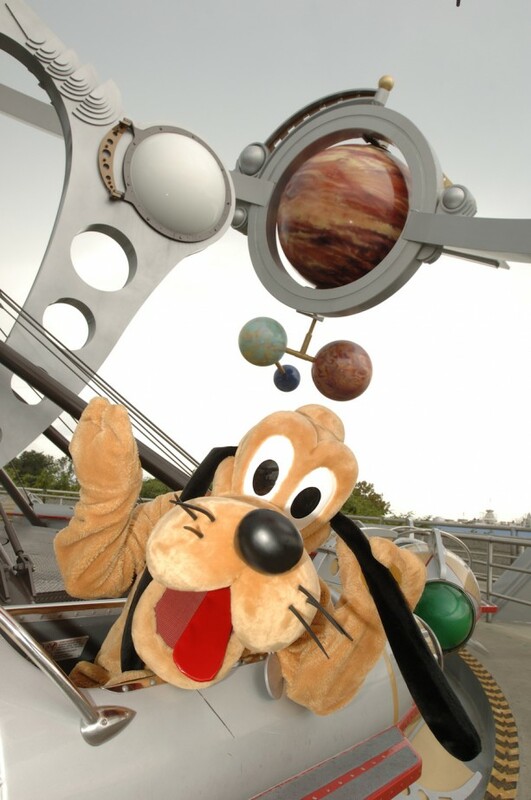 When it comes to appearances at Disney Parks, Pluto has appeared as a part of the “Fab Five” – along with Mickey Mouse, Minnie Mouse, Donald Duck and Goofy – for decades, appearing in parades, stage shows and greeting guests at Disney theme parks around the globe.